The Iron Giant is one of the better classic animated movies that have come along in the past 20 years and can compete right alongside Disney’s best, it’s just unfortunate Warner dropped the ball marketing it and instead it bombed at the box office. Thankfully since making its way on home video, the film has found a fanbase. 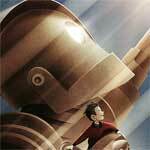 Plot Synopsis: The Iron Giant is the tale of an unlikely friendship between an alien robot from outer space (voiced by VIN DIESEL) and a rebellious boy named Hogarth (ELI MARIENTHAL). 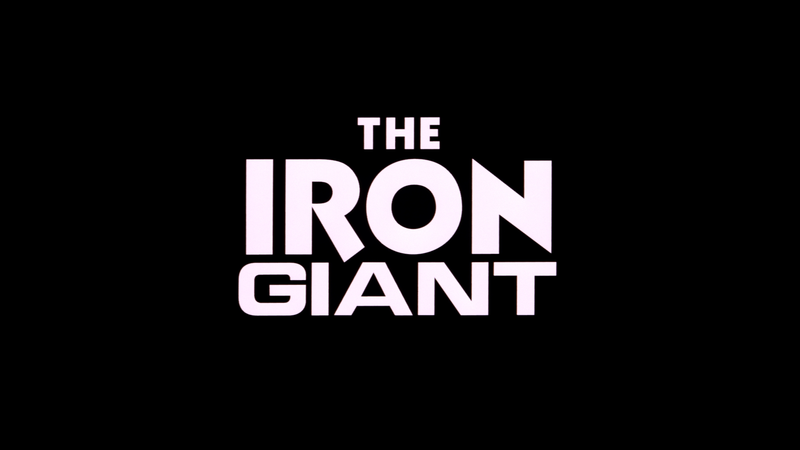 A bedraggled mom (JENNIFER ANISTON), a paranoid government agent (CHRISTOPHER MCDONALD), and a sympathetic beatnik (HARRY CONNICK JR.) all conspire to turn Brad Bird’s The Iron Giant into a gigantic, out-of-this-world adventure. Quick Hit Review: Released back in 1999 as Warner Brother attempted to get into the animation game, The Iron Giant took in a paltry $23 million at the box office following a bad $5 million opening weekend (ranking 9th) with the likes of The Haunting and Inspector Gadget (both in their third weekend) beating it out. One likely reason is the botched marketing on the part of Warner, which is shame as this is a treasure of an animated picture. However, another could be the rise of Pixar and computer generated animation making traditional animation look old fashioned and out-of-style (Toy Story 2 would release only a few months later and make a monster $246 million domestically, $497 million worldwide). However, time is a funny thing, perhaps not very funny for Warner, however. 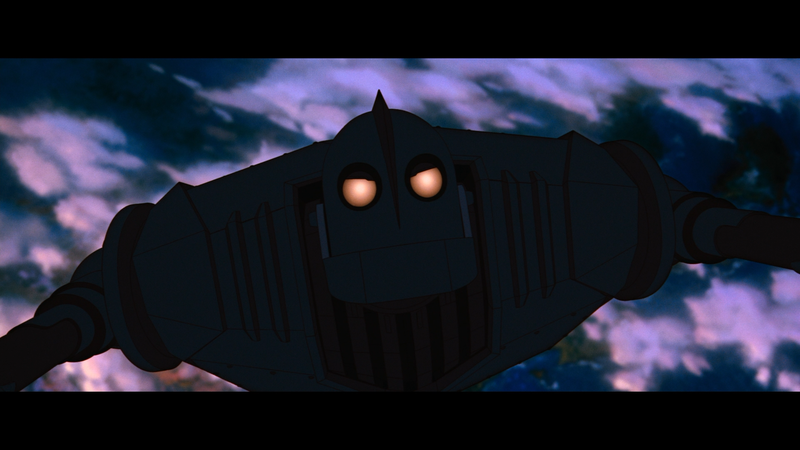 The Iron Giant has become a cult classic and it’s easy to see why. It’s a well told, beautifully animated movie with so much heart and soul that it stands the test of time with Disney’s best. The voice casting was well done with Jennifer Aniston being the bigger star given Friends was at its height around then and Vin Diesel, almost unrecognizable, voices the Giant so well. 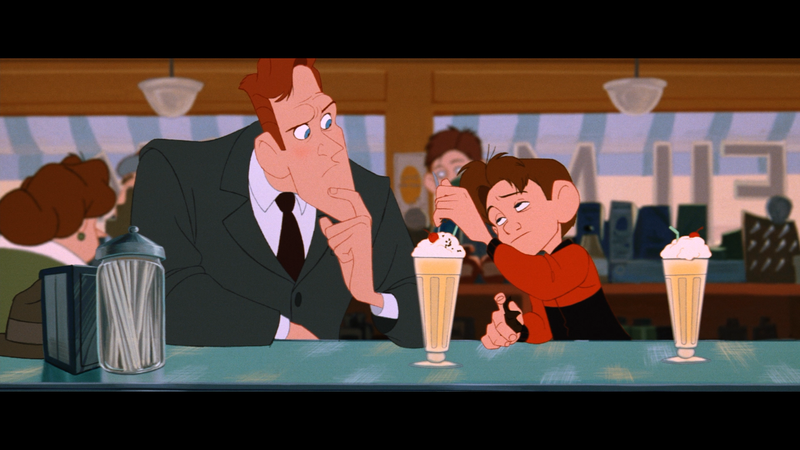 Christopher McDonald serves well as a classic animated villain and Harry Connick Jr. is a fun in a more comedic role. The Giant’s Dream: The Making of The Iron Giant (55:47) is a new and extensive featurette on the movie, its impact over the years since its release and includes interviews with the various people involved including Brad Bird who discusses his path to animation and working with Disney. This includes some great behind-the-scenes voice recording footage. Deleted Scenes (15:16) – We get several deleted scenes that include intros by Brad Bird. Teddy Newton: The X Factor (5:38) is a profile of Newton, head of the storyboard department. Duck and Cover Sequence (2:23) is a short animated feature that was included within the movie as seen in the classroom. 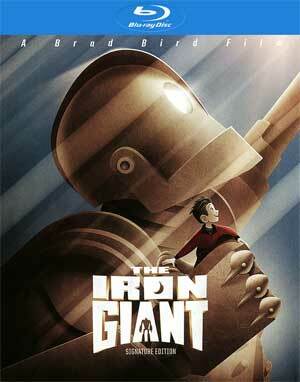 The Voices of The Iron Giant (8:16) are profiles on the characters and those who voiced them. Nothing amazing but at least includes some interviews with the actors. The Score (4:49) looks at the various music pieces used in the film. Also included are a Motion Gallery (4:22); “Brad Bird” Trailer (1:29); Signature Edition Trailer (2:32); the vintage Making of The Iron Giant (22:05) featurette; Vintage Easter Eggs (1:48); The Salt Mines (7:06) featurette; and Hand Drawn (1:40) featurette. Warner Home Video finally releases this classic animated film onto Blu-ray presented in full 1080p and all its glory and in its original 2.40 widescreen aspect ratio. Animated features do tend to take advantage of HD and this is the case here as well; colors are generally vibrant but equally as impressive is there were no noticeable instances of banding and the transfer itself appears to be clean, free of imperfections. The included DTS-HD Master Audio 5.1 track is more than effective for this animated feature. Dialogue obviously is clean and clear but where it excels is with the few action-oriented sequences, particularly the finale which utilizes each channel in conjunction with the score by Michael Kamen. It’s a robust lossless track and a clear upgrade over any format that has come before. Overall, The Iron Giant is one of the better classic animated movies that have come along in the past 20 years and can compete right alongside Disney’s best, it’s just unfortunate Warner dropped the ball marketing it and instead it bombed at the box office. Thankfully since making its way on home video, the film has found a fanbase and now with this Blu-ray release chalked full of features and fantastic transfers, it should find more fans in the decades to come.